Raven Protocol builds a decentralized and distributed AI training platform providing Cost-Efficient and Faster training of Deep Neural Networks. Raven protocol will issue a native RAV token. RAV will be used to incentivise different roles in the ecosystem to keep the network running. There will be four different roles in the ecosystem. 1) Website Partners: Consumer websites like social media or content providers with a user base of over 10k Users are eligible to become Website Partners. They will be available for 30% of the Operating Margin. 2) Master Node Orchestration: Institutes who have access to server resources to orchestrate the distribution gets paid in RAV. They will be eligible for 50% of the Operating Margin. 3) Gradient Calculations: These are the nodes which will be doing all the calculations. Devices like Smartphones or Laptops. 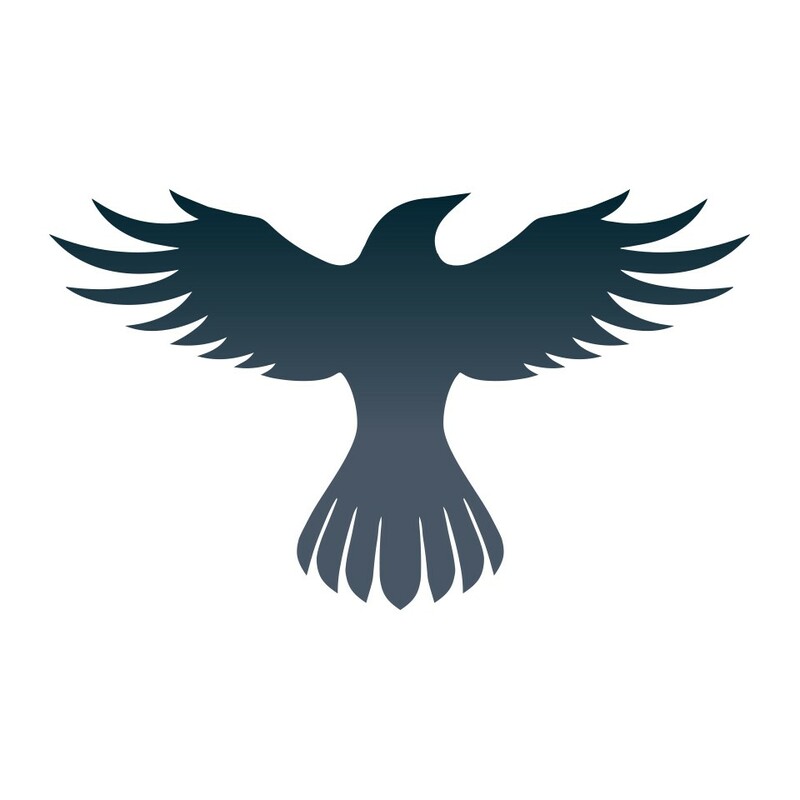 4) Transaction Charges: Raven Protocol will be charging small transaction fees to provide the protocol standards which facilitates the functioning of the ecosystem. Recently, there were many decentralized cloud-computing ICOs launched so the market competition for Raven might be tough. Technical details of Raven are unavailable and the competitive advantage is unclear. The product is at the proof-of-concept stage. The Mainnet Launch is only expected in September'19 and it is subject to change. The team does not explain how the money raised will be spent. The token issue scheme planned for the 5 months after TGE may devaluate the token price significantly. The team is scattered between Hong Kong and India. 2 out of 5 claimed team members do not mention Raven as a workplace on LinkedIn. Cloud computing market is projected to reach $410B by 2020, according to Forbes and Gartner. More data stipulate additional demand for such services resulting in projected CAGR of about 18%. So, the market Raven Protocol enters is attractive and future-oriented. But it is monopolized now by giants like Microsoft, Amazon and Alibaba. These vendors are widely known and respected with high guarantees, but the prices are also high as well. The blockchain is a beautiful solution and decentralization here has some rational grounds. If blockchain startups offer high-level security and stability the market may transform significantly. Most of the projects are still in the development stage but are rated well by community resulting in high investment returns: SONM, Dadi, Golem. However, recently there were many decentralized cloud-computing ICOs launched so the market competition for Raven Protocol might be tough. Technical details of Raven are unavailable and the competitive advantage is not clearly stated. Raven Protocol aims to create a network of computing nodes that utilize idle compute power for the purposes of AI training. Raven Protocol will use Dynamic Distribution to avoid any lapse in the model training. It will have No-Dependency Net to freely welcome Contributors. Unlike other projects where contributors have to install a software to start contributing. The protocol will be secured and tokenized to secure the data and transaction and incentivize contributors and believers. Now, the project is on a proof of concept stage. The public release of the code is scheduled for October'18. Alpha version will be launched in April'19. Testnet expected in July'19, Mainnet Launch expected in September'19. Raven protocol will issue a native RAV token. RAV will be used to incentivise different roles in the ecosystem to keep the network running. There will be four different roles in the ecosystem. 1) Website Partners: Consumer websites like social media or content providers with a user base of over 10k Users are eligible to become Website Partners. They will be available for 30% of the Operating Margin. to orchestrate the distribution gets paid in RAV. They will be eligible for 50% of the Operating Margin. 3) Gradient Calculations: These are the nodes which will be doing all the calculations. Devices like Smartphones or Laptops. 4) Transaction Charges: Raven Protocol will be charging small transaction fees to provide the protocol standards which facilitates the functioning of the ecosystem. According to rumours, Raven aims to sell 40% of the tokens for 20K-25K ETH (around $10 million if 1 ETH = 400 USD). Then, the company valuation will be equal to 55K-60K ETH ($22-24 million). The valuation looks reasonable and does not seem too high. 35% of the tokens will be reserved for Ecosystem Growth, 25% will be allocated to the company funds. However, the team does not explain how the money raised will be spent. The team will release an additional 10% of the tokens each month following the Token Generation Event. Thus 90% of the tokens will be released in 5 months after the TGE. This scheme may devaluate the token price during these 5 months. There are 5 people on the core team. The CEO of Raven Sherman Lee has a background in Computer Science(BSc in CS from Berkley) and previously worked as a Software Engineer at Yahoo!, Ask.com and a Product Manager at Yahoo!. Later, he became a partner at Hong-Kong based VC fund Zeroth.ai and is still employed at the fund, according to LinkedIn. Other co-founders also have startup backgrounds and previously created Mate Labs (AI startup) and Rocco (AI-powered social media marketing tool). 2 out of 5 claimed team members do not mention Raven as a workplace on LinkedIn. The team is scattered between Hong Kong and India.